Some people are extremely patriotic and they ensure that their national flag never touches the ground or never gets damaged, as it symbolizes the demise or downfall of the country. It is this love for their nation and their national flag that makes people wear clothing which displays their national flag either on the chest or the sleeve of the clothing, for instance, tee shirts or polo shirts. One such person has taken her love for the national flag of her country to greater heights in a unique way. A Saudi woman by the name of Aaliyah Al-Etaibi has expressed the love she has for her country and her flag by knitting the largest national flag in the entire world. She used traditional colors and fabrics for the creation of this enormous national flag. 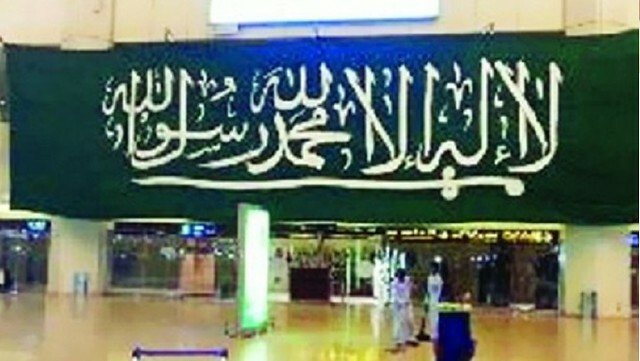 According to Al-Riyadh, which is a daily Arabic newspaper, the woman Al-Etaibi worked alone on the creation of the huge flag. The enormous flag measures 22 meters in length and around 8 meters in breadth. It is also reported that a total of 15 days was required for the woman to complete this monumental task. The patriotic woman, Aaliyah Al-Etaibi has stated that the huge national flag was a gift from her to her beloved country. She also added that only love is not enough to make miracles happen, miracles require hard work and a strong will. How can you express your love for the country? If one truly loves his or her country, then they should prove their love for their country by seeking higher education. Those who cannot achieve higher education due to any reason must excel in their respective professions or specific skills that they might have. This should be done so that more contributions can be made to make the country, whether it is the Kingdom of Saudi Arabia or any other country on earth, into a better place and to make your country prosper and reach new heights. The patriotic woman has gifted the flag that she made herself to the Kingdom, to use it as they please. This is something to be proud of, as not only has the woman made the biggest flag in the world (we all know Saudi people like Big Things, for instance, Biggest Building amongst other things), but she has also done this monumental task without any assistance whatsoever. Why do they make circular crop fields in Saudi Arabia? What is the highest temperature ever recorded in Saudi Arabia?